Looking for things to do these school holidays with the family? Visit Victoria Park for a full day of fun! With plenty of activities around the complex to keep the whole family entertained, it’s sure to be a great day out. Enjoy Victoria Park’s FREE games area on the lawn adjacent to the bistro terrace, open every weekend. Activities include giant Jenga, giant connect four, giant scrabble, giant chess and jumping castle. Open 10am to 4pm every weekend. Enjoy freshly made goodies from Victoria Park’s market carts each weekend. 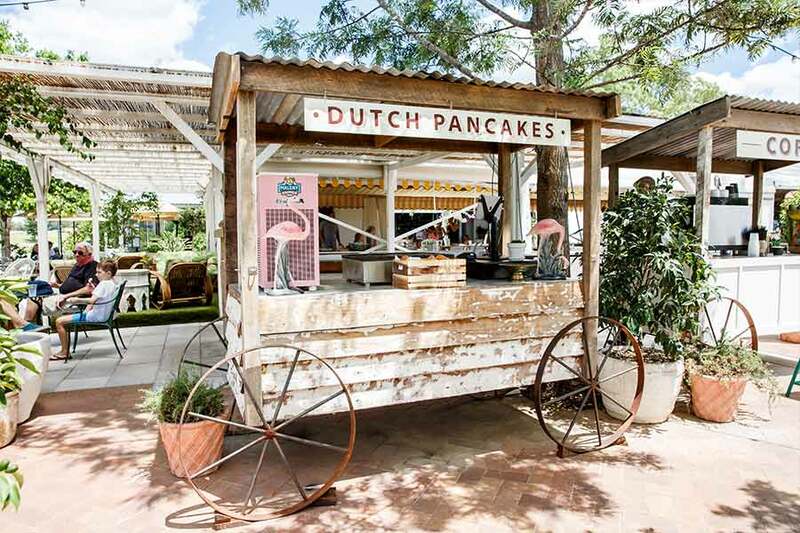 Now serving dutch pancakes, burgers & coffees around the complex. Different carts open between 9am – 3pm on weekends. Victoria Park is located 309 Herston Rd, Herston, Brisbane. For more information on our activities and opening hours, we would love to hear from you via our contact us page or click here to visit our website home page. Victoria Park is open every day of the year except Christmas Day.